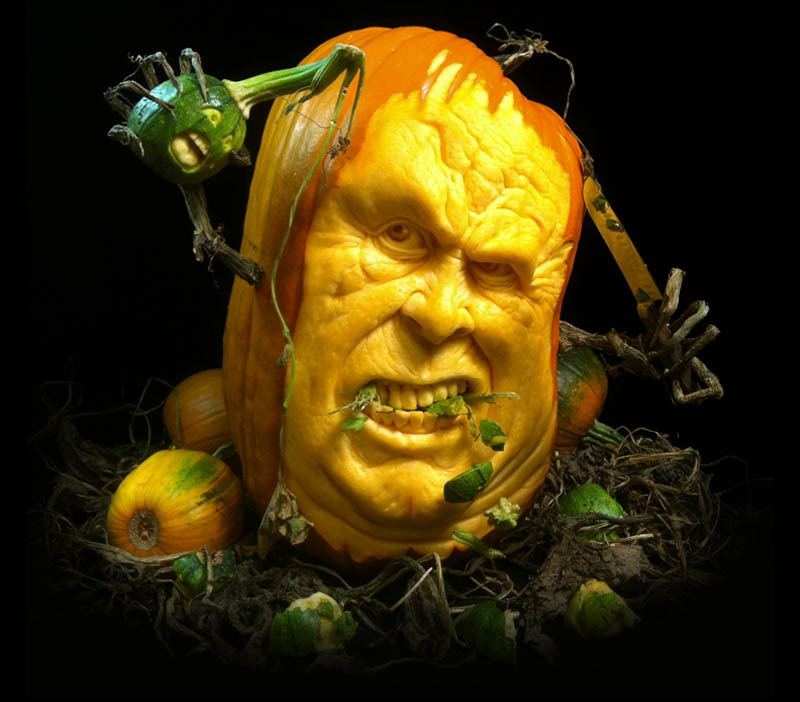 Born in Queens, New York, artist Ray Villafane carves some of the most incredible pumpkins on Earth, garnering international acclaim and notable clients around the world. Ray also works with sand sculptures in addition to designing his own toys and action figures. 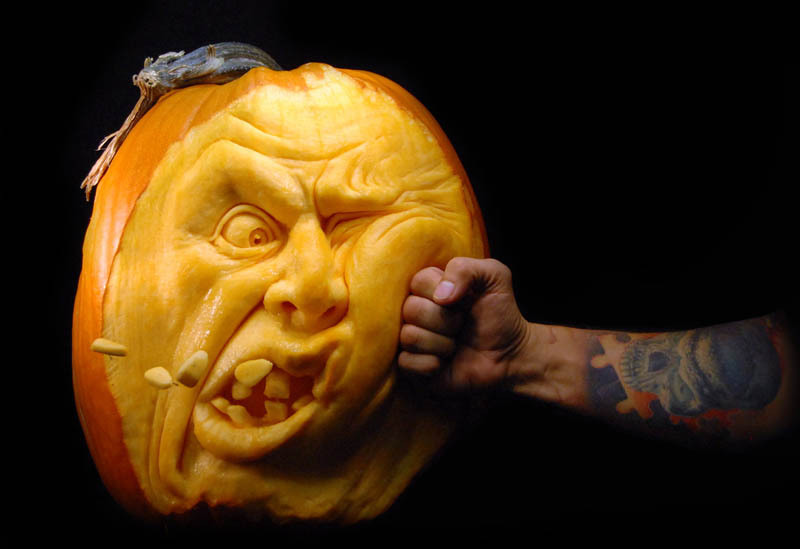 Be sure to check out his official website, villafanestudios.com, where you can find an extensive gallery of his work, along with an online store that sells his pumpkin carving toolkit, instructional DVDs, prints, t-shirts, etc. Enjoy this small selection of Ray’s jaw-dropping artistry! Ray was born in Queens, New York to Reinaldo Villafane and Virginia (Guzman) Villafane. He spent his childhood on Long Island and was raised alongside two sisters and one brother. At a very young age Ray showed a knack for art; a passion that his mother approvingly encouraged him to pursue. Throughout his academic career, Ray’s classmates and teachers also recognized his natural artistic abilities. Ray graduated from the School of Visual Arts in New York City in 1991. However, also having a passion for children, he elected for a career in teaching. From 1993 to 2006 Ray taught Art for students grade K-12 in Bellaire, Michigan. 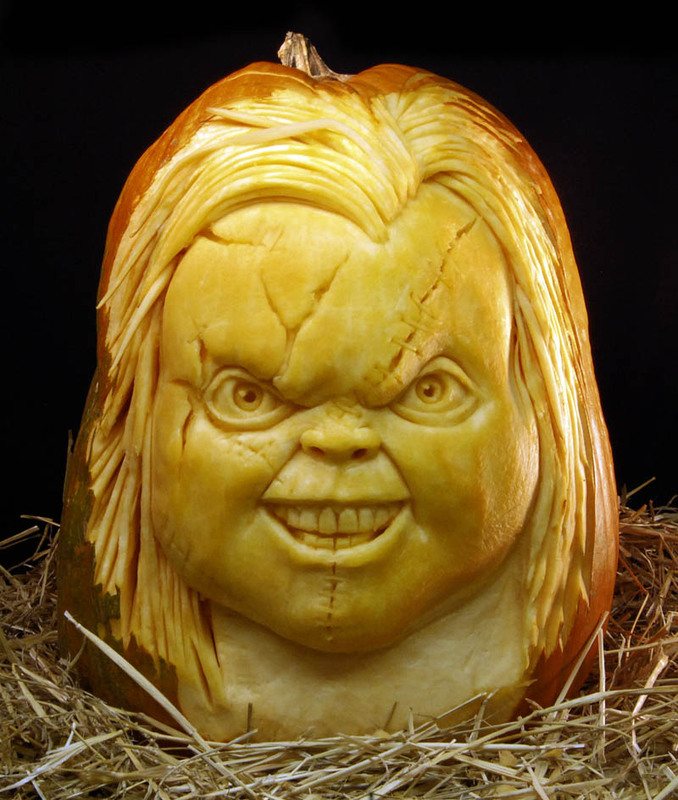 It was during his teaching tenure that Ray began “dabbling” in pumpkin sculpting, initially as projects with his students. After several custom-carved requests from students’ parents, Ray realized he was on to something with his pumpkins and started offering them to local hotels and restaurants. It became his fall hobby for several years. In 2003, Ray married Tamara Anne Schmidt. While Ray and Tammi’s union gave rise to a blended family, they also had children together. It was during this time that Ray was encouraged by his wife to “find an art medium he really enjoyed and run with it”; they could use his obvious talent to supplement their income and support their large family. Ray decided to contact a former SVA classmate whom he had thought to be working for Disney as an Animator. Upon speaking, he learned that the friend was actually sculpting for Disney. Having really sparked Ray’s interest, he flew to New York to spend a weekend observing his colleague in action. That weekend clarified for Ray exactly what he wanted to do; he went home and started sculpting his first piece.